May 26, 2018 Just crossed the Reunification Bridge ! Today marks the 7th anniversary of our breakthrough election win – that day in 2011 when we proved to the country that the Green Party was serious and ready to start making history! Looking back, it’s hard to believe how far we’ve come together. 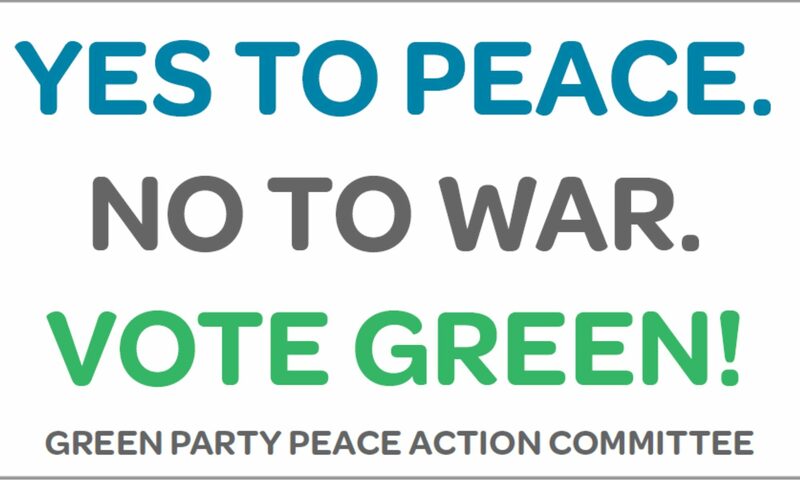 On this anniversary we want to thank you for helping Elizabeth and the Green Party make history over and over again. We are more committed than ever to ensuring Canada becomes the country Elizabeth has shown us it can be – a country built on the mutual respect embedded in the UN Declaration on the Rights of Indigenous Peoples, a champion on climate action and human rights, a resilient, progressive, inclusive, and egalitarian society. We have a long way to go. Together, we can do it. Happy Anniversary, Elizabeth . Let’s keep making history. PS – Interested in getting more involved as a volunteer? We invite you to join one of our live webinar trainings. For the past almost 16 years, the United States has been systematically destroying a region of the globe, bombing Afghanistan, Iraq, Pakistan, Libya, Somalia, Yemen, and Syria, not to mention the Philippines. The United States has “special forces” operating in two-thirds of the world’s countries and non-special forces in three-quarters of them.